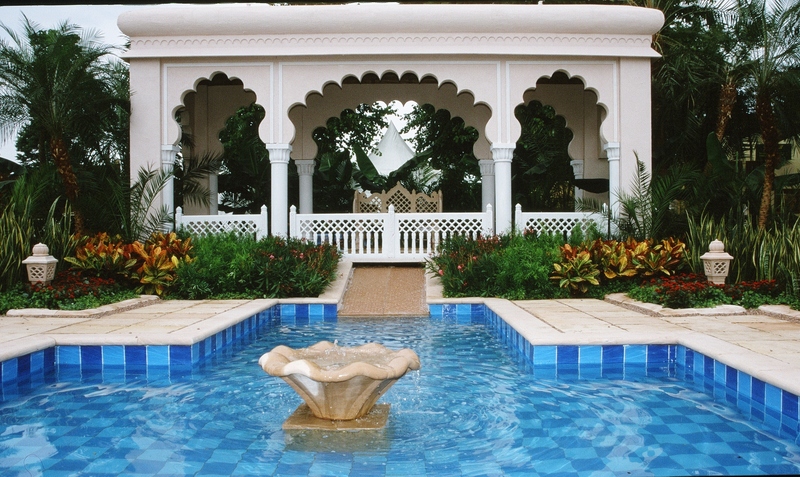 Indian Palace Garden at Hampton Court Palace Flower Show, 2001. RHS Bronze Medal. 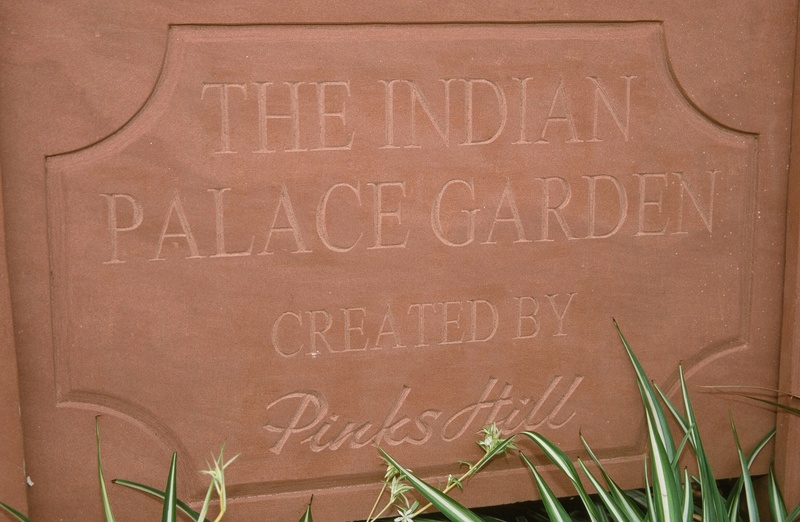 Indian Palace Garden inscribed in Bansi Pink stone sign.